Vietnam has never been on my bucket-list for travel, it really never interest me in any way. I have heard plenty of stories about how normal it is and how lookalike it is with our country, Indonesia. But one day I decided to browse through a tour package and found out that its quite cheap to go there. With only less than Rp 10.000.000, you can go to Vietnam, explore new places, and go to one of UNESCO's heritage! Truthfully, the only thing that attracts me from the tour package is just Ha Long Bay. But it all changed when I went to Vietnam. My flight starts at around 2PM? And it took around 3 hours-ish for a direct flight. We flew to Saigon first where we have to wait for another 3 hours before we fly to Hanoi. We went there with their national plane, Vietnam Air. The plane wasn't big like Garuda but the service was fine. Food was okay, but it depends on what you choose. Here is tip when choosing in-flight food: ALWAYS CHOOSE THE ONES THAT ALWAYS TASTE GOOD NO MATTER HOW YOU COOK IT. I chose beef with rice which comes with some vegetables, while a friend of mine chose noodles which to be honest didn't suit my taste buds. Beef is always a good idea, you can cook it in any way and it will still taste good. While noodles on the other hand, depends much on the spices and the ones that my friend had was bland. We reached Saigon late at night and immediately checked-in into our hotel where we spent our first night in Vietnam. Our first hotel is Santa Barbara Hotel, the room is quite small and you can hear noises from the neighbouring rooms. Rise and shine, though I wish I could get an hour of more sleep. 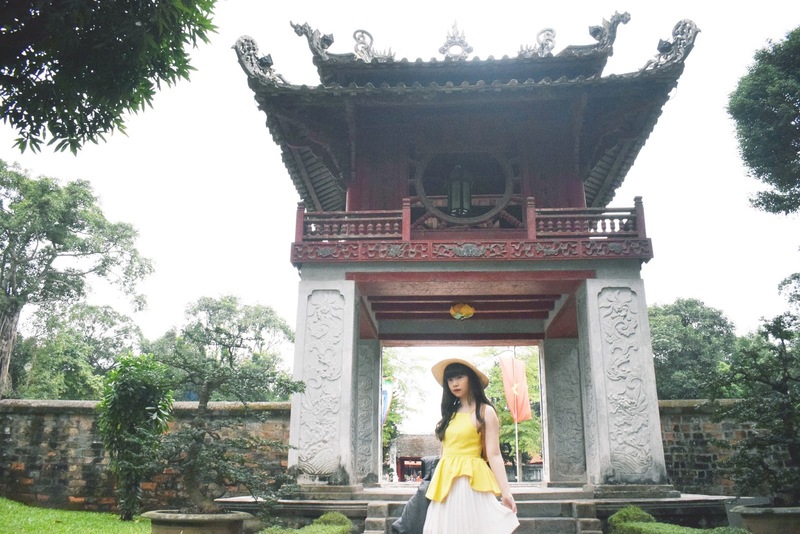 Today we headed to Temple of Literature which is one of the main tourist attraction when visiting Vietnam. This temple is dedicated to Confucious and scholars. The altars are popular with students praying for good grades; while the pagodas, ponds and gardens of the five courtyards make picturesque backdrops for student graduation photos. What I like about Temple of Literature is that this place is damn huge it covers an area of over 54000 square meters, I think you need around 2 hours to explore every bit of it. When we arrived at Temple of Literature we were welcomed by a big giant gray gate, there were plenty of people swarming here to take pictures with it. Entering the big giant gray gate will lead you to a large park filled with trees and ponds, there will be a small pavement road to walk through the First Courtyard and the gate leading to the Second Courtyard. The second courtyard contains the Khue Van pavilion (Khuê Văn Các), a unique architectural work built in 1805 and a symbol of present-day Hanoi. 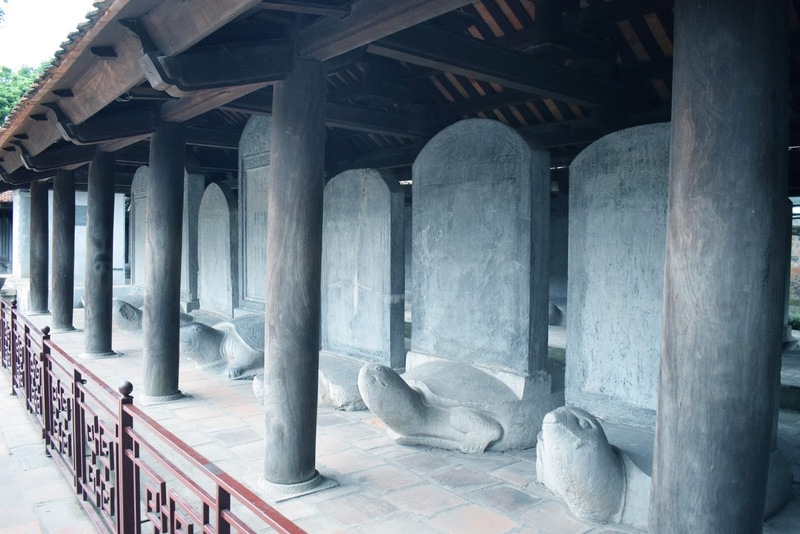 The Khue Van pavilion is built on four white-washed stone stilts. At the top is a red-coloured with two circular windows and an elaborate roof. Inside, a bronze bell hangs from the ceiling to be rung on auspicious occasions. 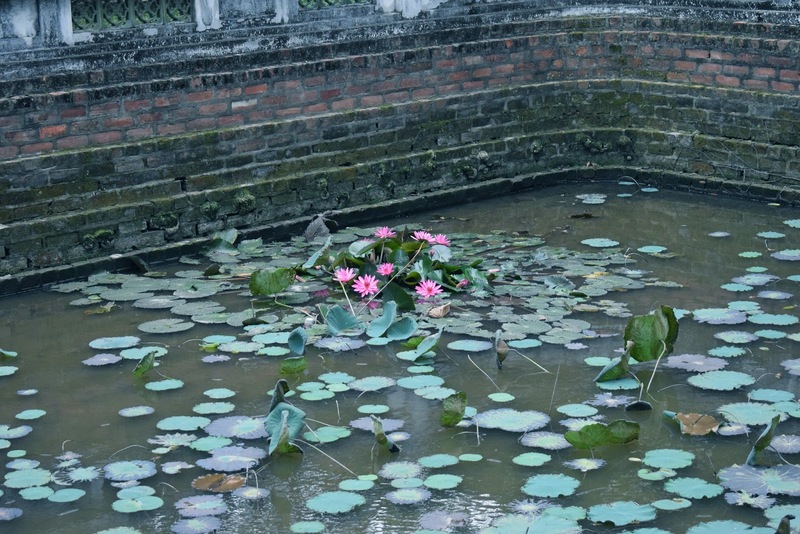 The Third Courtyard consist of a large pond named 'Well of Heavenly Clarity' and a long corridor filled with Turtle Steles to honour those who succeeded the royal exams. Walking further through the last two courtyards will bring you to a large temple where you can pray and touch the famous crane statue. The statue is in the form of crane standing on top of a turtle. Legend says that touching the crane statue would bring a fortune. In Vietnamese culture, the turtle and crane stand together represent a healthy long life of happiness.